Car recalls happen when parts fail and the manufacturers replace them. If your car is recalled the manufacturer will contact you with instructions. Car recalls can be annoying. They require you to take time off work, stand in line at the dealership, and sit around while your car is getting fixed. And if the repair takes a few days, you’ll have to figure out transportation alternatives as well. Some recalls are pretty minor. In mid-March 2016, Maserati recalled more than 28,000 cars sold between 2014-16 because of faulty floor mat anchors. Other recalls are serious. In 2014, GM recalled 30 million cars worldwide due to faulty ignition switches. By GM’s own count, 128 people were killed in accidents related to the switches. To illustrate how rough some years have been for vehicle manufacturers and consumers, in 2014, 64 million cars were recalled at the same time that only 16.5 million vehicles were sold. Car manufacturers assemble cars using parts made from many suppliers. If there is a major failure of a part, the car is recalled. As an example, in 2015 the airbag manufacturer, Takata, recalled 34 million airbags that the company supplied to nearly two dozen car and truck manufacturers. When deployed, the airbags were found, at times, to shoot shrapnel inflator parts. Some of the recalled air bag models dated as far back as 2001. It was the responsibility of the vehicle manufacturers to issue the recall and do the repairs for the cars and trucks that were equipped with the Takata air bags. iSeeCars.com is a website for buyers and sellers of new and used cars. The company conducted a survey of the history of cars sold over the past 36 years, and the recall histories since 1985. The survey concluded that Mercedes is the least-recalled car. And the manufacturer with the worst recall-to-sales ratio? According to the survey, Hyundai has had the worst ratio of cars recalled: 1.15 cars recalled for every car sold since 1986. Other companies on the list with the most recalls are Mitsubishi, Volkswagen, and Volvo, each of which has recalled one car for every one sold over the last 30 years. If you purchased your car, either new or used, from a dealer, they will have your VIN and contact information on file. If there’s a recall, the manufacturer will contact you by mail or phone, and provide instructions on how you need to get the car fixed. Recall letters sometimes come with some form of the phrase “Important Safety Recall Information” printed on the front of the envelope, making it look like a piece of junk mail. It’s a good idea to resist the temptation to play Carnac the Magnificent, and actually open the letter. The letter will explain the recall, and what you’re to do. Most likely, you’ll be instructed to contact your local dealer to get your car fixed. Keep in mind, you’re not the only one in your area who has received a recall notice so it’s best to contact the dealer immediately and make an appointment to get your car repaired. 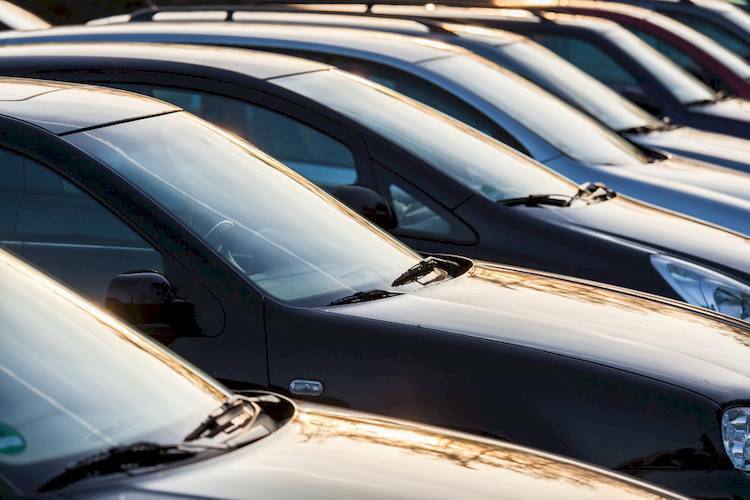 If you hear about the recall on the news, but you’re not sure if your car is affected, you can contact your local dealer, who will look up your VIN. Or you can call the Auto Safety Hotline of the National Traffic Safety Administration (888.327.4236). You can also visit your vehicle manufacturer’s website for up-to-date news on recalls. You may be asked to enter your VIN to ensure accuracy. Car manufacturers are only on the hook to pay for repairs for eight years from the date of the car’s original sale. If there is a recall eight years after the original sale, the repair bill is on you. Also, if you are proactive and fix a problem prior to the official announcement of a recall you could be out of luck trying to get reimbursement. However, some companies, such as Chrysler, have reimbursed customers whose vehicles malfunctioned due to a not-yet-announced recall. These are the top most recalled cars in America. If you’re driving one of these vehicles, it’s a good idea to check and see if yours is among those recalled. If you see something in the mail that resembles a car recall notice, open it to see what it says. You’ll need to decide for yourself how serious the suggested repair is. If you think it’s serious, call your local dealer to book an appointment. Ask how long it will take to make the repair. If it’s going to take a full day, ask for a free courtesy car or shuttle ride to and from work or home. If you get wind of a recall before it’s announced by the manufacturer and you choose to get the work done beforehand, ask the dealer who is going to be responsible for the repair bill. In all likelihood it will be the owner.